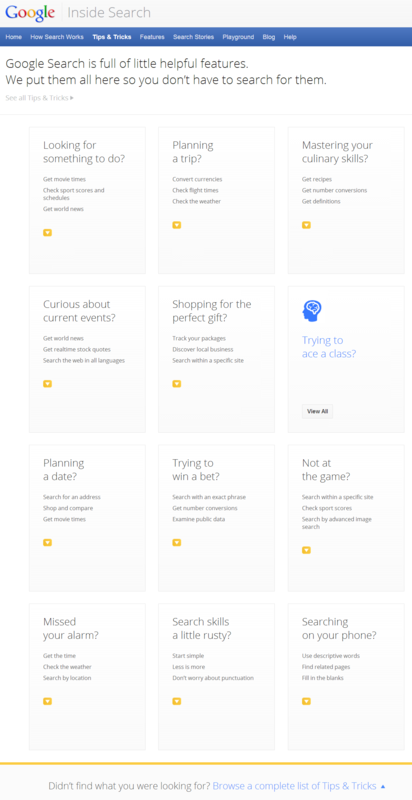 If you haven’t already, you should definitely check out Google’s Inside Search site, where you can explore a cool interactive graphic explaining how Google search works. 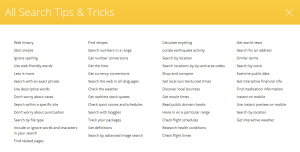 What I found especially cool is that Google decided to put all of their search tips and tricks in one place – 50 of them to be exact. While many of you are probably familiar with a good portion of Google’s search functionality, I am fairly certain that you will learn at least 1 new thing, if not quite a few more things that you can do with Google that you didn’t know that you could. Also, while high level, you will probably enjoy quickly navigating through Google’s interactive graphic on how their search works.